Now the trail has started to become a rock scramble. 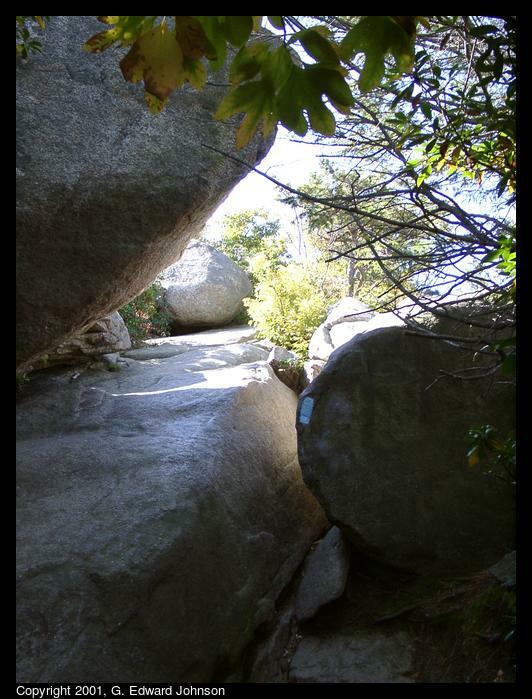 It goes up and over these boulders. The blue paint on the boulder to the right is the trail marker. Vertical.